How to listen to your messages only through smartphone's speakers? 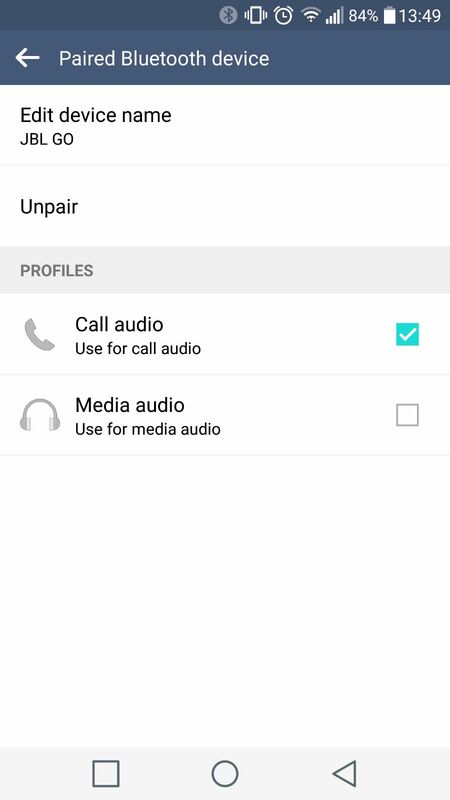 Go to Chatty > Settings > Preferences > Voice output device and choose Multimedia audio. How to reply the message? Chatty: Would you like to reply to David? How to say the message? Chatty: ¿What is the message? How to send the message? Chatty: Would you like to send the message? Go to Settings > Preferences in the app and check if Reply messages option is enabled. 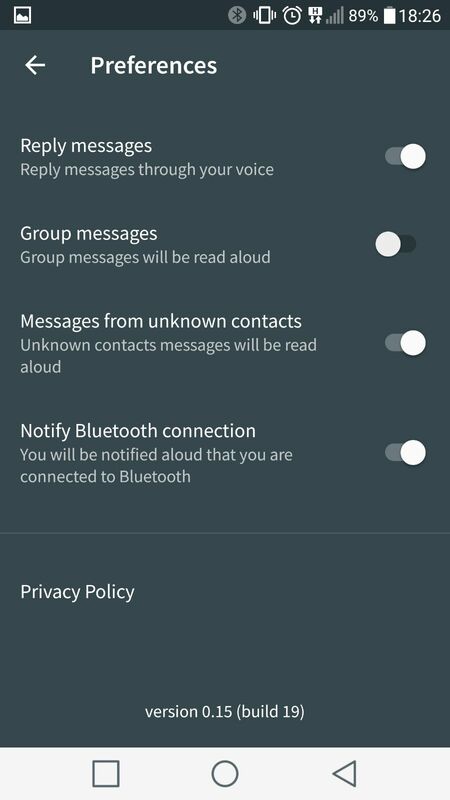 Add your Bluetooth device as a "trusted device"
On some devices, due to security matters, when the phone is locked with a pattern, a password or by fingerprints, the replied message won't be sent. 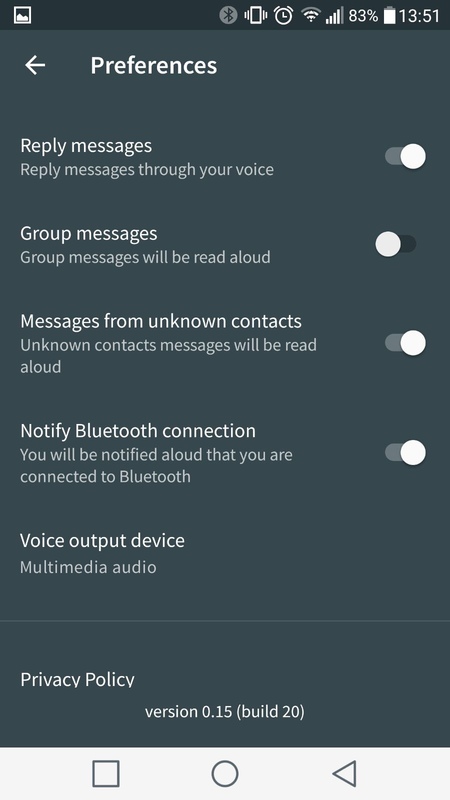 Follow this Android tutorial and add your Bluetooth devices as "trusted devices". 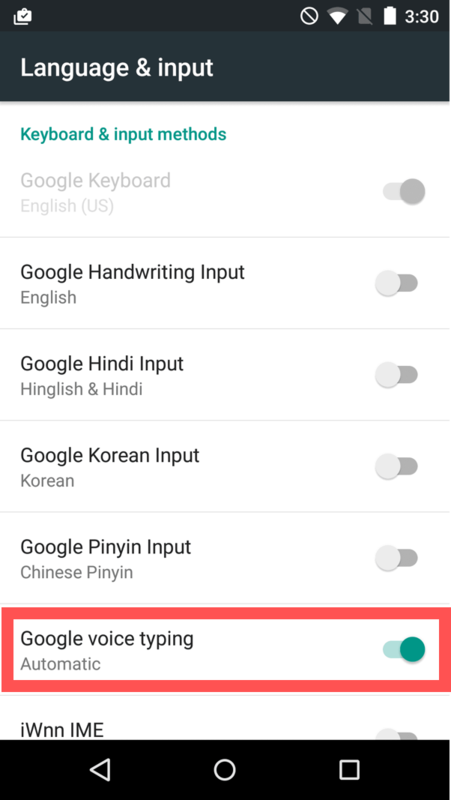 Go to Settings > Language and input in your mobile and check if the Google voice typing option is activated. Tap on the textfield to open the keyboard. Look for an microphone icon on the keyboard and press it. Check if the message was written in the textfield.